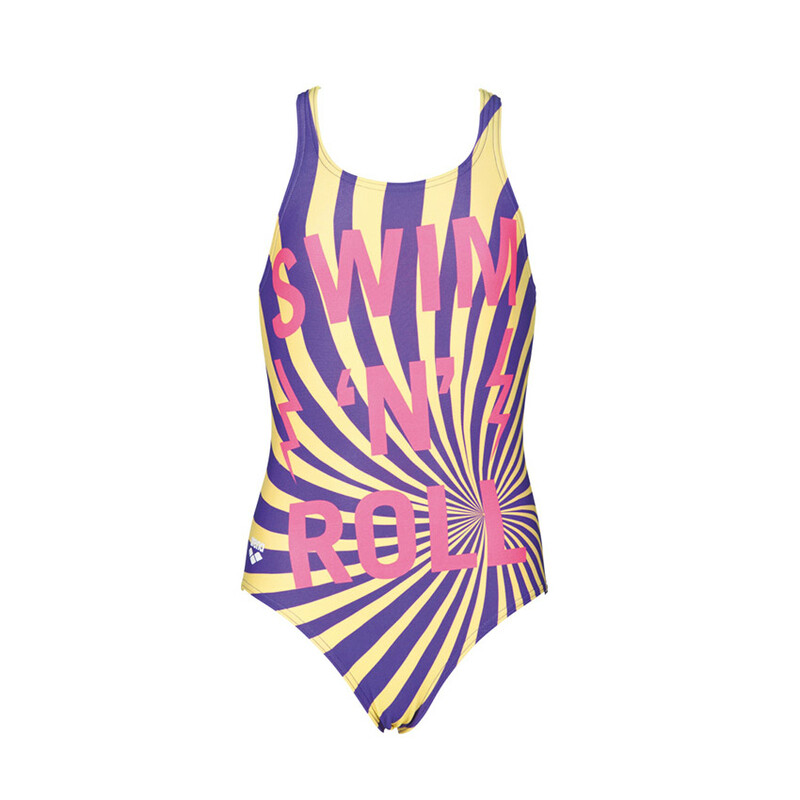 The Swim&Roll girls swimming costume has a 1950’s inspired stripe and text design on the front. 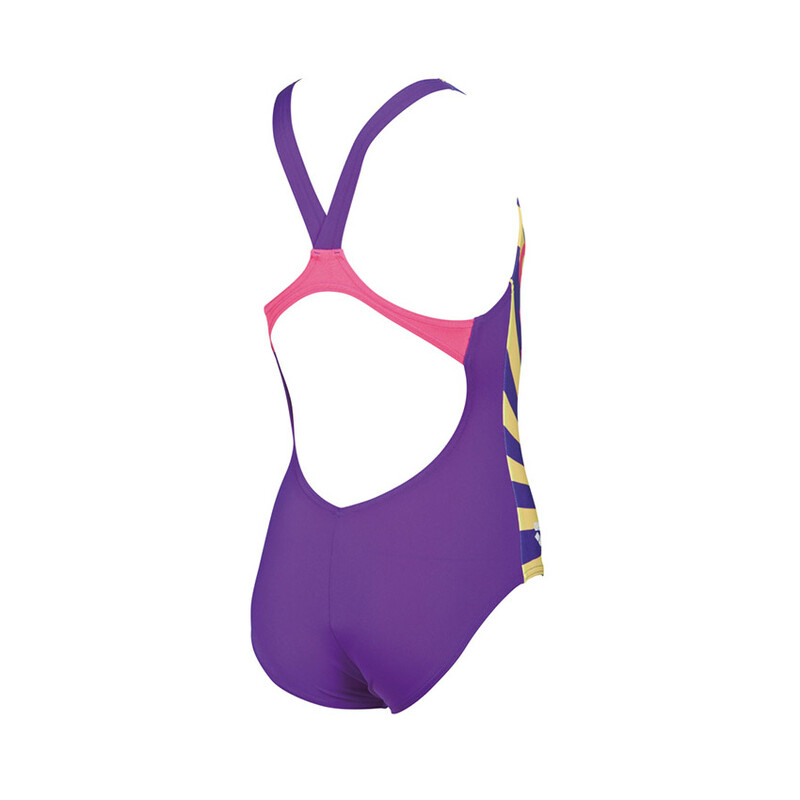 The back is plain purple with the horizontal strap picked out in pink matching the text on the front. 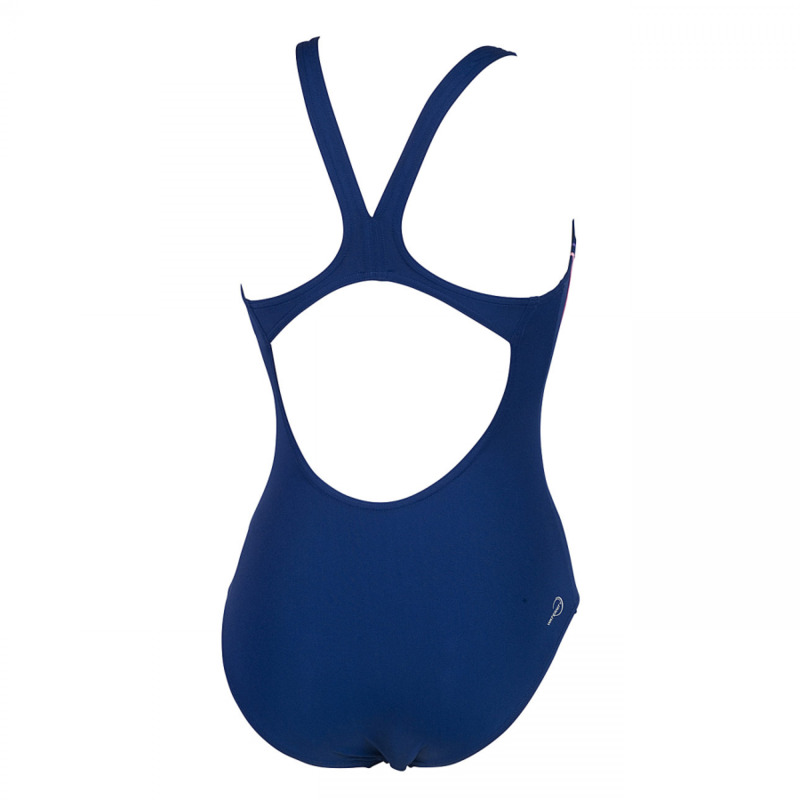 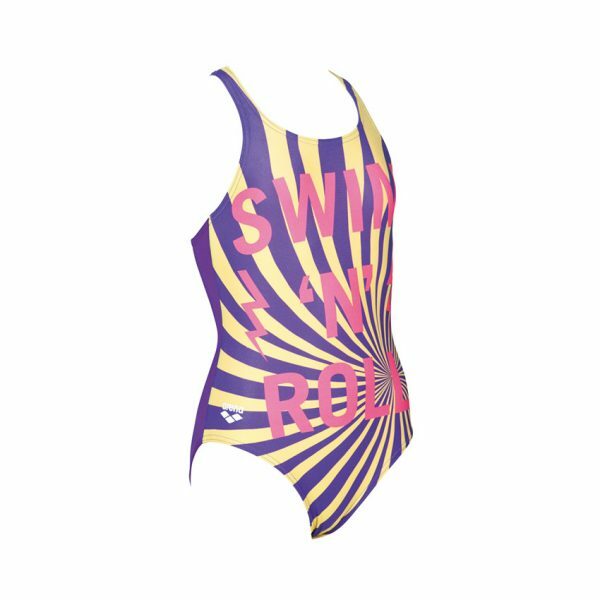 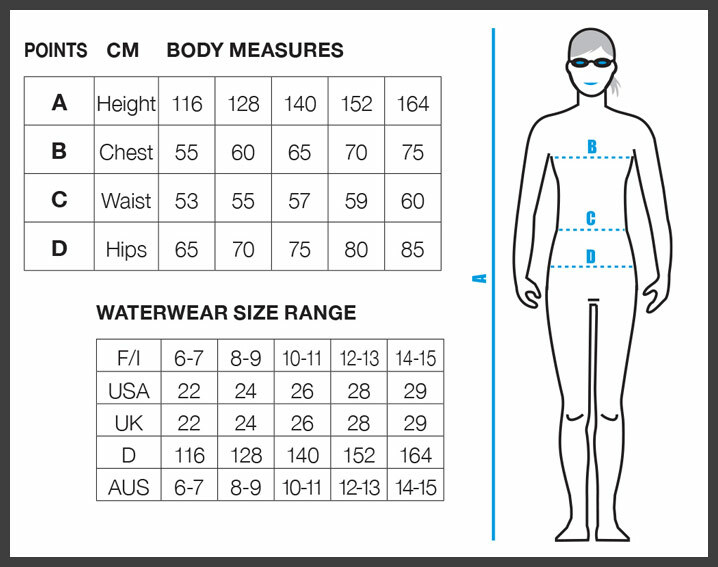 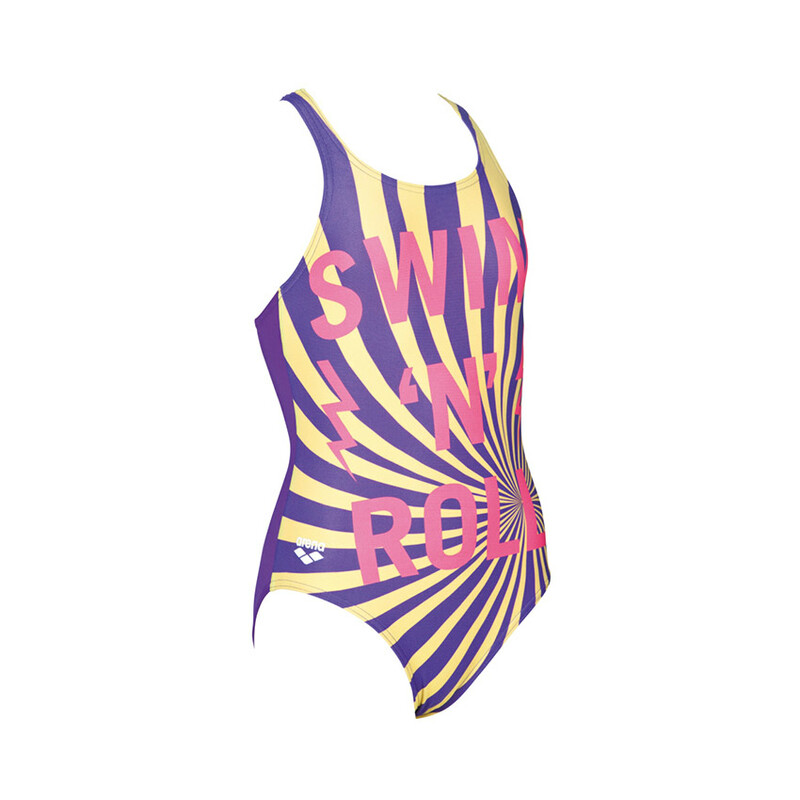 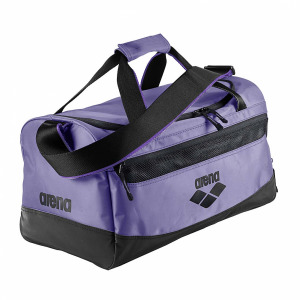 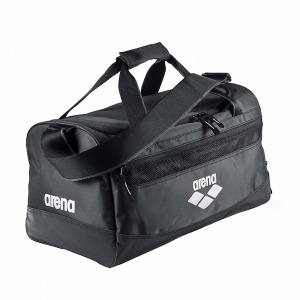 The ‘V’ style straps allow full freedom of movement making this a great suit for regular training.